Kostelnyk, Havryil [Kostel’nyk, Havryjil], b 1886 in Ruski Krstur, Bačka region, Serbia, d 20 September 1948 in Lviv. Priest, writer, journalist, philosopher, and theologian. He studied philosophy and theology at Zagreb University, Lviv University, and Fribourg University (PH D 1913). Ordained in 1913, after the First World War he moved to Lviv, where he was a professor of theology and philosophy at the Greek Catholic Theological Seminary in Lviv (1920–8) and the Greek Catholic Theological Academy (1928–30). He also edited the religious journal Nyva (1922–32). 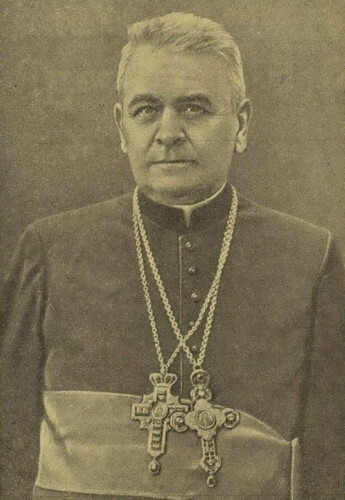 In the late 1920s, Kostelnyk emerged as a critic of the Vatican's Uniate policy and the leading representative of the ‘Eastern’ (anti-Latinization) orientation among the Greek Catholic clergy. 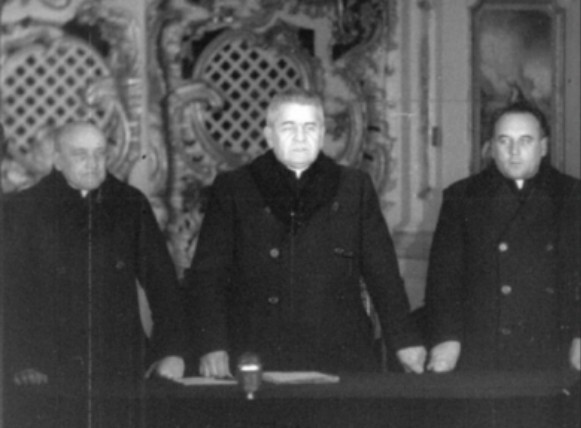 His position made him a target of NKVD pressure and blackmail during the 1939–41 Soviet occupation of Galicia, when the authorities tried unsuccessfully to have Kostelnyk organize an ‘away from Rome’ schism in the Ukrainian Catholic church. 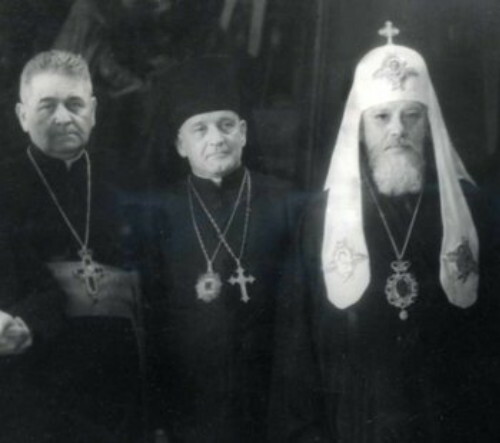 After the Soviets reoccupied Galicia in 1944 and arrested the entire Ukrainian Catholic episcopate, Kostelnyk was finally compelled by the authorities to assume chairmanship of the so-called Initiating Committee for the Reunification of the Greek Catholic Church with the Russian Orthodox Church. In this capacity, Kostelnyk presided over the Soviet-staged ‘Reunion Sobor’ in Lviv in March 1946 (see Lviv Sobor of 1946), designed to supply the pseudo-canonic, voluntary façade to the Soviet suppression of the Ukrainian Catholic church. He was killed under mysterious circumstances; while Soviet authorities have blamed his murder on the Vatican and Ukrainian nationalists, the evidence suggests that the assassination was masterminded by the Soviet police. Kostelnyk's early poetry and prose were written in his native dialect, and he is considered the creator of the Bačka literary language. His first literary work, Z moioho valala (From My Village), appeared in 1904, and in 1923 he published Hramatyka bachvan’sko-ruskei besedy (Grammar of the Bačka Ruthenian Language), the first work of its kind. His collected works in the Bačka dialect were published in two volumes in Novi Sad (1970, 1975). Later he began to write prose and poetry in Ukrainian. His scholarly works include Try rozpravy pro piznannia (Three Tracts on Understanding, 1925), Spir pro epiklezu mizh Skhodom i Zakhodom (The Disagreement about Epiclesis between East and West, 1928), and articles in the journals Nyva and Bohosloviia.